Format for applying for admin. English - Applicants are required the demonstrate the ability to write English fluently. Age - Although there are no specific age requirements in becoming an admin, it is required that you sound, write and act maturely when performing admin related tasks. This includes following all server(s) related rules and setting an example for other players to follow. Player Time - We expect all applicants to have played on the servers for a reasonable amount of time. We don't tell you what this is and expect you to figure out what amount of time would be appropriate. Previous Infractions - Previous player incidences will greatly reduce the chances of an application success if there is not a valid reason why the infraction(s) were received in their application. Friendliness - Players will only be accepted if they are friendly and willing to help newer players with issues, this includes on the forums as well. Microphone - Again, this is not a specific requirement, but it would be greatly appreciated if you had a microphone at the ready when required. Activeness - Admins are required to remain active on their specified server(s) and forum, if this isn't achieved, or if an admin becomes inactive, they will be retired. SourceBans - Admins must provide as much information as possible regarding a ban made via sourcebans. It is highly recommended that you record a demo of an incident as your actions may be questioned at a later date. Progression - Admins are expected to improve upon themselves continuously. If it is believed that an admin isn't progressing or declining in performance or conduct, they will be removed. Instructions - Admins must be able to take criticism professionally when given, and be expected to perform commands given to them by management at all times, even ones they don't agree with. Decision Making - There are times when management may be offline and you are left alone, you must be able to solve problems to the best of your ability and make quick decisions when called upon. Reports - Admins are the gateway for players to report issues regarding the servers to management. If a player encounters a problem and reports it to an admin via the server, you must report this incident on the forums immediately. This includes any problems encountered as listed above. It is important to understand that becoming an admin is a thankless job for the most part, and you can't please all players at once with the decisions you make. 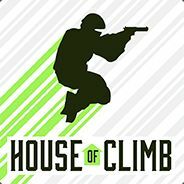 You must be able to create an atmosphere that the majority of players will enjoy playing in and represent House Of Climb positively. If you feel you can perform all these tasks and meet the specified requirements listed above, then please post an application ticket in the form of a template below. [Are you a leader or a follower, why?] - I'll leave this one for you to figure out! [Scenario: A global admin and a regular player are on the server and being disrespectful to a new player because he is bad at the gameplay. He takes it in good stride and laughs with them, but it continues and he asks them to stop. They don't, and things escalate. What do you do?] - This is a hard question. Please answer it to the best of your ability. [Have you or are you part of any other gaming community/clan?] - Elaborate as much as you want. [Information] - Give us a quick rundown of who you are and why you want to help out HoC, and what you can bring to the table. When you are ready to apply, please copy this format and paste it into an application thread HERE! PLEASE NOTE: Admin applications can take several weeks to process. We only add new admins whenever we feel there is a need. Be patient, you may not see much activity on your app immediately.